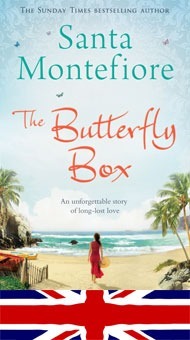 Devastated when her parents’ marriage falls apart, Federica is forced to set up home in Cornwall with her mother – the butterfly box is the only part of her beloved father she is able to take with her to sustain her during painful times. Embraced by the eccentric Appleby family, she loses her heart to their son Sam, who barely notices the little girl until it is too late. As she grows to womanhood, Federica attempts to recapture that long-forgotten sense of security in the arms of the debonair Torquil Jensen. From the sanctuary of a seemingly perfect marriage, she embarks on a painful journey of self-discovery. It takes Federica years of heartbreak to escape her gilded cage and learn the true lesson of the butterfly box. 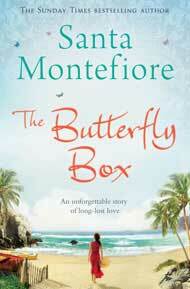 Passionately written and deeply felt, The Butterfly Box is an epic saga of love, possession and metamorphosis. I sold Meet Me Under The Ombu Tree in a two book deal to Hodder & Stoughton. Having loved writing about Argentina, I decided to base my next book in Chile, where my mother’s side of the family live. My mother grew up in Argentina and Brazil, but her first cousin married a man who worked in Chile and settled there. I have lots of relations now all over Chile and spent time there before going to Argentina, so I felt I knew it well enough to write about it. In contrast to the hot, humid pampa, Chile’s coast is cooler with a damp sea mist that is sucked inland when it is very hot in Santiago. I decided to base half in Cornwall where we used to go as children on summer holidays and half in Cachagua, a divine little village of thatched cottages on the coast of Chile. I enjoyed writing about the two very different cultures and decided to continue in that vein. The theme of Ombu was belonging, for The Butterfly Box I decided to write about possessiveness. I have always believed that we are all here on our own spiritual paths and that no one owns anyone else. How many parents feel they own their children? How many try to control them and make them do things they want them to do, without leaving them to make their own decisions and be themselves? How many couples stifle each other with neediness and possessiveness? I had a two and a half year relationship with a very possessive man. As unpleasant as it ultimately was, I learned a great deal. I learned that people treat you according to how you allow yourself to be treated. I learned that I could have (and should have) walked away at any time, but I didn’t. It takes courage. I explored all of these things in the book. Certainly, in my opinion, happiness comes from giving one another the freedom to be ourselves – and the space in which to do it! Federica unwrapped the paper to discover a roughly carved wooden box. It wasn’t pretty. It wasn’t even charming. She felt the tears prick the backs of her eyes and her throat constrict with disappointment. Not because she wanted a nicer present, she wasn’t materialistic or spoilt, but because Hal’s present had been so much more beautiful than hers. She understood his presents as a reflection of his love. He couldn’t love her very much if he hadn’t even bothered to find her a pretty gift. “Thank you, Papa,” she choked, swallowing back her tears in shame. “It’s very nice.” But she didn’t have the strength to rebel against her emotions. The excitement had been too much, now the disappointment threw her into a sudden low and the tears welled and spilled out over her hot cheeks. “Fede, mi amor,” he said, pulling her into his arms and kissing her wet face. “It’s nice,” she said, trying to sound grateful and not wishing to offend him. “Open it,” he whispered into her ear. She hesitated. “Go on, amorcita, open it.” She opened it with a shaking hand. The little box might have been plain on the outside, ugly even, but inside it was the most beautiful thing she had ever seen, and what’s more, it played the strangest, most alluring tune she had ever heard. Santa Montefiore is such a refreshing writer. She has imagination, charm and delicacy and her second novel, THE BUTTERFLY BOX, is sensual not sensational, vivid but not vapid. Santa is the new Rosamunde Pilcher, and she is warming up to be Daphne de Maurier, but more fun. 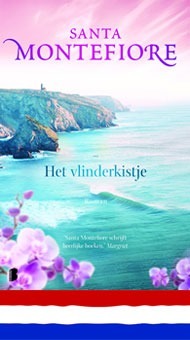 THE BUTTERFLY BOX has a cracking beginning and that vital spark of light fiction: an ability to attract the reader to the central character like a moth to a flame… This book is so refreshing, and so delightfully written, Montefiore can travel with me anytime.